They will soon become a cornerstone of our daily lives but what exactly is the difference between a chatbot and a virtual assistant? The VHS and the Betamax, the Blu-ray and HD DVD or more recently the current virtual headset battle between HTC Vive and Oculus Rift. The history of technological development is littered with examples of various formats fighting it out for market dominance. At times, these format wars will dictate what we refer to the new invention as. When purchasing a high-density optical disc we tend to ask for a Blu-ray for example. As artificial intelligence moves out of its winter we are encountering confusion over what to call the intelligent computer programs that communicate with us – chatbot or virtual assistant. Are chatbots and virtual assistants the same? It depends on who you speak to. A school of thought exists which believes there is no difference and that either one could be an umbrella term for the conversational agent. If this is the case then it seems redundant to have two names for the same function. Chatbot is by far the more popular term according to Google Trends. In general, if its primary mode of interaction is through messaging (Slack, Facebook etc.) then you are communicating with a chatbot. There is an argument that the likes of Siri cannot be a chatbot because it exists outside of these channels. But this does not feel like enough of a differentiator. In fact, of more importance is the function of the chatbot (or virtual assistant) that you employ. In this regard, there are some myths surrounding their capabilities which should be debunked. Some of the most powerful chatbots are equipped with robust natural language processing in order to understand the meaning of an inquiry rather than simply the keywords. Previous bots might have only been able to carry out a limited number of conversations through either hard-coding, wildcard matching of words and phrases or time-consuming keyword training. However, bots powered with NLP are now far more flexible. Unfortunately, many chatbots do not leverage true NLP and are giving chatbots a bad name. Thanks to machine learning, chatbots will continue to improve and will produce higher self-service rates than ever before. While there might be some truth to this now, the gap between what the two hope to achieve is constantly narrowing. In the past, the chatbot could only perform specific tasks such as a password change or information about the weather. Whereas, the virtual assistant was more wide-ranging in what it offered. Thanks to advancements in NLP and machine learning, however, this is changing. Chatbots are now far more diverse and can carry out more functions through their ability to understand natural language. The use of decision trees, for example, makes it far easier to discover the exact intent behind user inquiries, broadening its functionality even further. Virtual assistants even now still struggle to remember key information during conversations but chatbots are already proving they can store what you tell them. For example, Inbenta’s chatbot Veronica is able to remember your email address if you provide it to her. If you tell her “My email address is….” then she will retain that information for future use. Therefore, if you were to ask for a demo she would not require you to resubmit it. 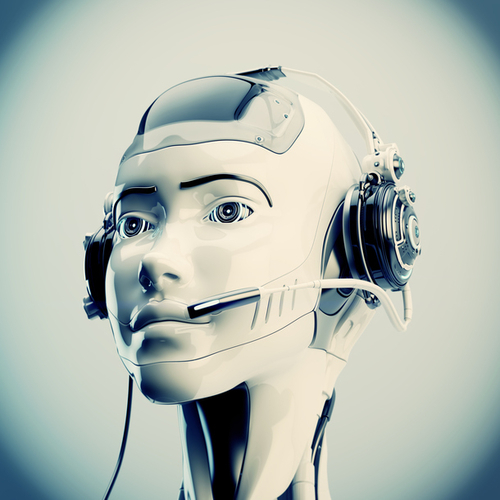 Rather than debate what we should name them, it is important to recognize how the chatbot (or virtual assistant) will provide the most human-like experience possible by understanding our natural language to the best capabilities. Interested in finding out more? Our team of experts is available to show you how Inbenta can benefit your company.